Do you need any tips and tricks how to keep track of your daily expanding phone contact list? Try the old fashioned way, and keep track of all professional phone extensions on a paper. 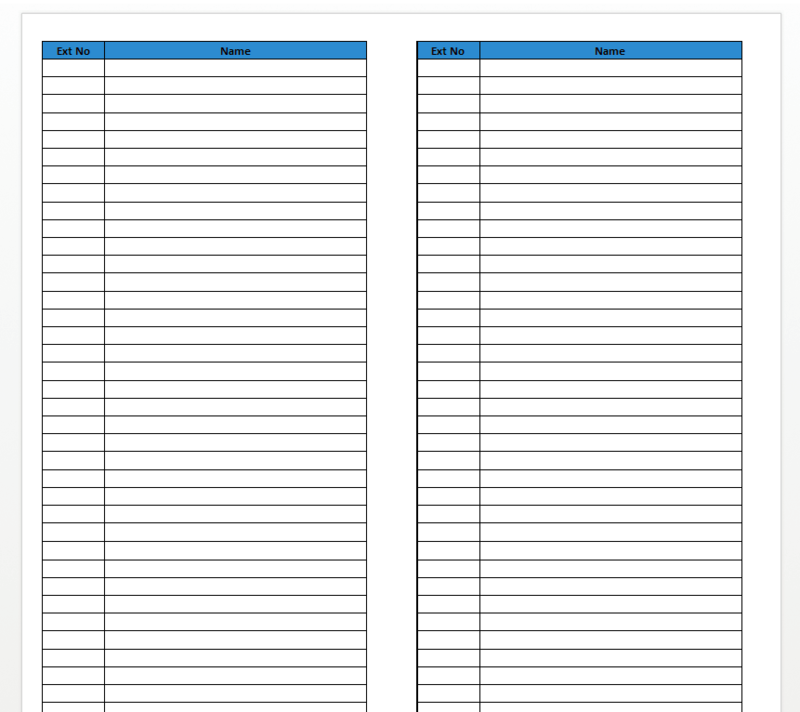 Download this template phone list now! We provide a template that will professionalize your way of administration of the most important phone numbers you have in your possession, or that you need to manage on behalf of your company. This convenient phone extension list will help you keep track of all your business associates and colleagues. Using our business templates guarantees you will save time, cost and efforts! Fast, safe and easy!